This Platinum Yellow Diamond Engagement Ring Is A Custom Take On The Halo with Two-Tone Platinum and Red Gold. 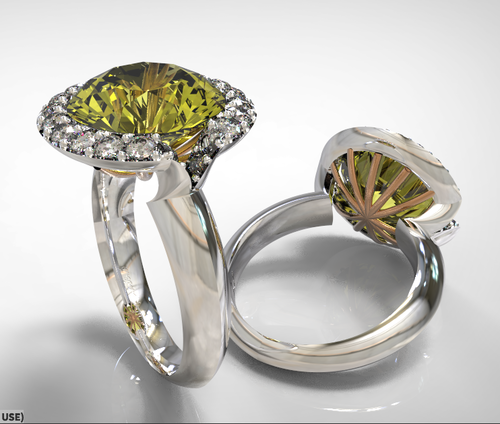 This halo ring has been remade into the tantalizing custom one of a kind engagement ring. This platinum rare yellow diamond center gem is encircled by white diamonds that enhance the color of the yellow diamond making it much impressive.